The city of Perth has some of the country’s most beautiful beaches, a great climate and a relaxed outdoor lifestyle to match. For these reasons, Perth is becoming a popular tourist destination with many Australian relocating to this sun-drenched capital city. This increased population has also brought with it an increase in outdoor activity providers, offering residents and visitors of Perth ample opportunities to get outside and enjoy the magnificent landscape. 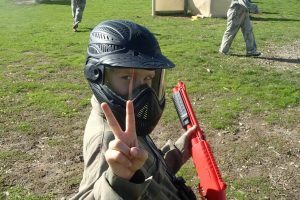 Paintball is no different, with a string of paintball centres located near the city centre offering a day of paintball action for both amateurs and professionals alike. 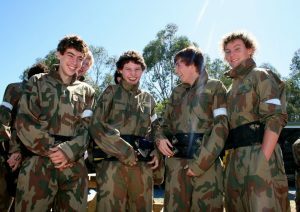 If you add Perth’s Mediterranean climate to the incredible Australian bush that surrounds the city, you have the perfect setting for a day of paintball action. There are two AUPBA-approved centres in Perth and both have received a 5-star rating – the highest accolade a paintball centre can receive. Delta Force Muchea and Delta Force Bonneys are conveniently located less than an hour from the CBD and offer the ultimate paintball experience. The sport has taken off on astronomical proportions and with thanks to paintball centres such as Delta Force, the sport will continue to grow in a safe but fun environment.